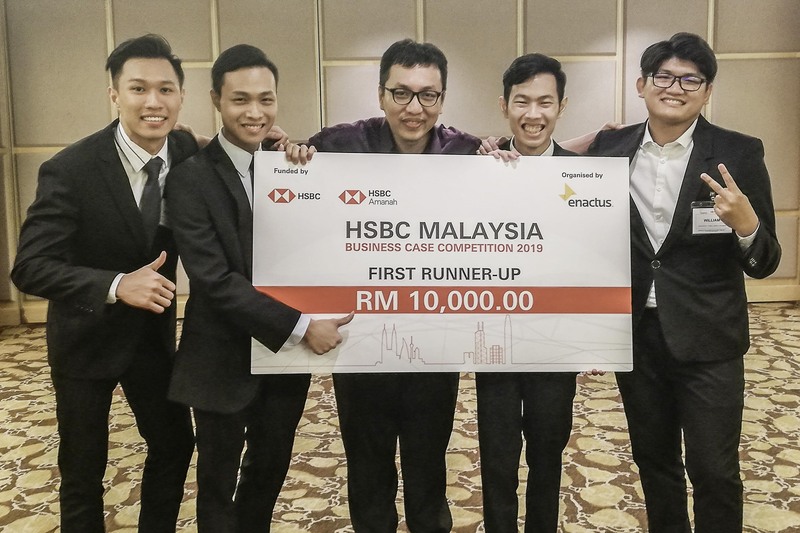 Four Faculty of Business and Finance (FBF) students clinched the First Runner-Up spot in the HSBC Malaysia Business Case Competition 2019’s Final Round at Hotel Istana City Centre Kuala Lumpur on 27 March 2019. The UTAR team consisted of final year Bachelor of Finance (Hons) students Yap Yang and Ivan Toh Min Kiong, and final year Bachelor of Economics (Hons) Financial Economics students Chong Zheng Yang and Mok Shee Wee. In order to rise to the top, the FBF quartet needed to compete against other teams in business strategy-making and presentation. This was carried out by applying technical, critical thinking and soft skills to analyse a business case. This was followed by their recommendation for solutions to address the issues highlighted in the case. They were also evaluated based on the cohesiveness and eloquence of their presentation. They first competed with a total of 24 teams from various universities in Malaysia in the Opening Round Competition on 13 March 2019. They subsequently advanced as one of the 12 teams into the Semi-Final on 26 March 2019, and eventually found themselves as well as four other contending teams in the Final Round vying for the coveted spot as the champion. To both Chong and Mok, as much as it pained them slightly for the fact that they were so close to being the champion, the whole experience was certainly worthwhile and treasurable. “I’m proud and happy that we have reached this milestone in the final year of our studies. Some of us, including me, have minimal competition experience. Therefore being a first runner-up in a national level competition is really a remarkable feeling,” Mok mentioned. “We may not be able to carry the UTAR flag in the HSBC/HKU Asia Pacific Business Competition in Hong Kong, but I am proud and honoured to have represented UTAR and put its name in the competition’s hall of fame list,” Chong told, to which Yap added that their team was also the first UTAR team in history to emerge as the first runner-up in the competition. Mentored by FBF Department of Economics senior lecturer Kuar Lok Sin, the quartet had also undergone intensive trainings during the few weeks leading up to the competition. “To prepare ourselves for the competition, we went through training sessions with our mentor Mr Kuar, had discussions among ourselves, attended a workshop on strategic thinking and presentation skills provided by the organiser, and watched past videos of the Asia Pacific level competition,” Mok shared. Describing the training sessions as a platform where the team bonded and learnt one another’s strengths and weaknesses, Chong said all four of them meet every week to discuss the cases given by Kuar. “These cases will be analysed as we need to develop ideas within the stipulated time on the spot and then present them to Mr Kuar,” the Financial Economics student explained. According to Toh, on top of the rigorous training and discussion sessions, the team also spent hours to pore over news on the latest developments in the business world. “The competition relies heavily on readily available knowledge which you cannot access during the competition,” the Finance student remarked. To give a 110 per cent for the competition, Yap also ensured that he reads plenty of economics as well as entrepreneurship-centric news from China and Hong Kong. Understanding that being a first runner-up in such a competitive competition is no accident, the quartet also attributed their success to the solid foundation formed from UTAR’s quality education. “Since my major is in Finance, so it’s natural that I have a better understanding on financial knowledge during the competition. UTAR's education has provided me the fundamental knowledge in marketing, management and entrepreneurship. I’d also especially like to thank UTAR for supporting us as representatives of the university, which was a good exposure,” thanked Yap. 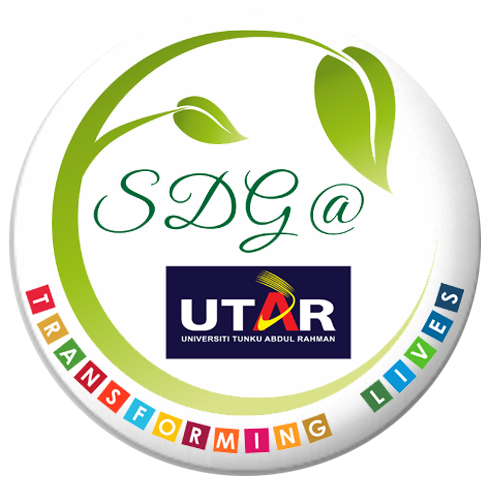 “UTAR’s education helped us greatly in gaining sufficient knowledge in business-related areas which also became the primary source of our solution,” Mok commented. Both Mok and Chong also felt that soft skills such as critical and analytical thinking skills as well instant presentation skill are also highly essential when being in the competition, all of which are in line with the core components in the UTAR Soft Skills Development Certificate. Not forgetting to extend their heartfelt appreciation to Kuar for the mentorship in ensuring the team was always on its toes, the quartet also thanked one another for the camaraderie which led them to instinctively have each other’s back during the competition. According to Mok, each and every team member has his own special skills and knowledge. “Therefore, during the competition, if the case appears to be more familiar to any one of us, then that member will try to lead the team so that we can work more efficiently and effectively,” explained Yap. As the First Runner-Up, the quartet walked away with a cash prize of RM10,000. 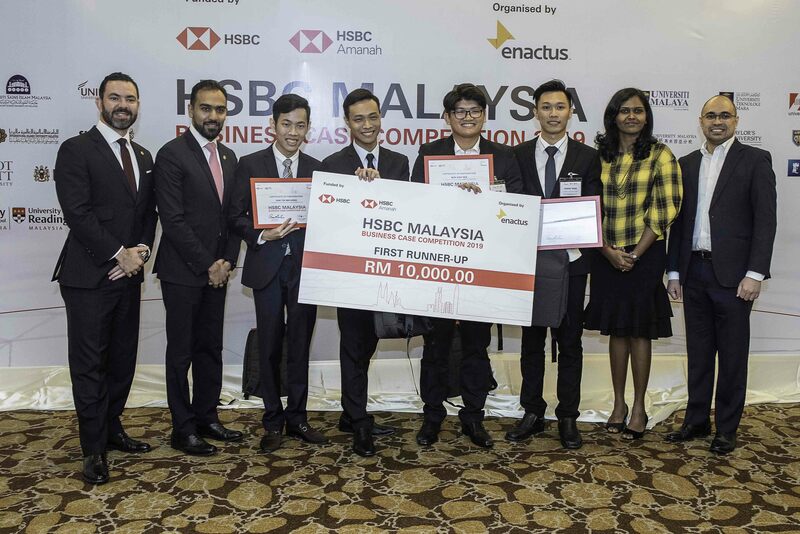 Organised by Enactus Malaysia and sponsored by HSBC, the HSBC Malaysia Business Case Competition has been held annually since 2014 as a platform for young students to apply their practical business knowledge and skills to real-life business scenarios. The champion will then represent Malaysia and the university in the HSBC/HKU Asia Pacific Business Case Competition in Hong Kong. Other universities which participated in this year’s competition were Taylor’s University, Multimedia University, UCSI University, University of Malaya, Universiti Teknologi Malaysia, Heriot-Watt University Malaysia, Monash University Malaysia, Xiamen University Malaysia Campus, University of Reading Malaysia, HELP University, Sunway University, Tunku Abdul Rahman University College, and others.